Recently Valve has announced that they are developing a massively multiplayer online Strategy based game, more likely Dota based game. This step from Valve high appreciated and also criticized by Dota Allstars fan community. 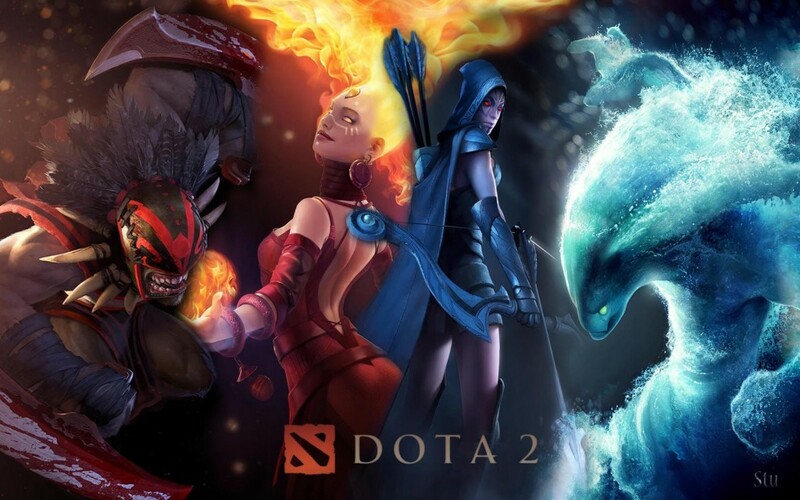 Despite the fact the there are several Dota based games in the market, Valve is going to release Dota 2 with the collaboration with current Dota map developer Icefrog.. This blast was happen when gameinformer put a check on the Valve’s office and collect the information about the upcoming Valve Dota 2 game. Now the main developer (Icefrog) came into the scene and replies some of the important question which were being asked by the Dota fan community..
Q# 1 : Is there reconnect support for DotA 2? Q#2: Can I still play with my friends from America even though I am European? Q#3: How are you going to handle delay and lag between players? Q#4: What kind of hardware requirements will the game have? Q#5: I heard there was going to be an AI feature for when a player leaves. Is there going to be an option to take direct control of the hero? Q#6: Will there be anything like the AI maps in DotA or a “training mode” with difficulty levels? Q#7: Will the replay system allow me to move freely backwards and forwards in time rather than having to watch a whole replay? Q#8: Don’t you think you should make a lot of changes to the gameplay? Q#9: Can you spectate an already ongoing DotA 2 game? Q#10: Will you keep loyal to casting times like Torrent and will it still be possible to do the advanced tricks, like animation canceling, fog of war tricks we’ve learned, etc? Q#11: How will we manage replay files? Q#12: Are you going to work on DotA after DotA 2 is released? Q#13: How will development change with regards to your role, current beta testers, community feedback, etc? Q#14: Are the upgraded graphics going to be distracting? New graphics are great, but when there’s too much, you can’t see what’s going on anymore.? Q#15: Will I be able to help test DotA 2? Q#16: Are you going to do anything to make it easier for new players to get into the game and feel welcome? Q#17: What hotkey setup will exist in DotA 2? Although he answers most of the questions in brief manner but still most of the things aren’t cleared yet. Will Valve’s Dota2 is free to play? Can we play Valve Dota 2 on LAN? Will Icefrog keep updating Dota as he updates Dota nowadays? These are some questions which needs an answers and we are sure that Icefrog will come up with a better reply next time. Stay tuned for the next updated from Icefrog. Keep coming here to face the latest attraction..